hiya! another papertrail post, act surprised. this time around i wanted to show off a small little ui feature that wasn’t available in our super old demo. 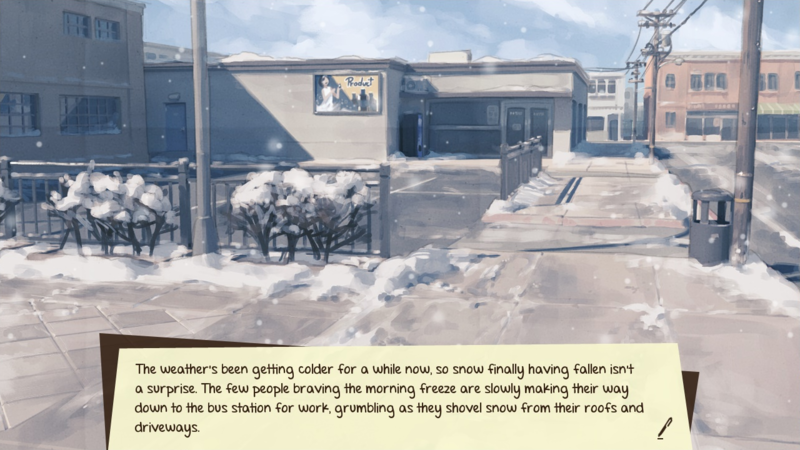 so, we’ve posted screenshot previews of both first snow and twofold. these are all wildly out of date (we’re pretty bad about maintaining our actual web pages….we’ll get to that eventually, probably once actual dev on fs winds down a bit….) but one thing youve undoubtedly noticed is that the text boxes are entirely different colors. i’ve had a couple people ask if we were replacing the old demo colors entirely, or if the blue version was an fs-exclusive thing or what have you. in actuality, twofold takes place over the span of two seasons, fall and winter, and the color of the ui changes to reflect that. 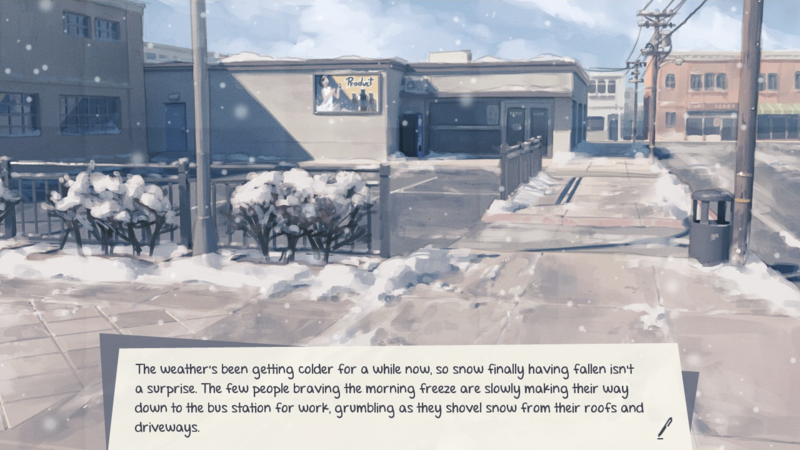 naturally, first snow takes place ENTIRELY in winter, so it’s the blue textbox for the entire time. however, options are good! we’ve added a new thing to our menus, allowing you to choose between fall or winter themes manually. the first option, “story” is the default; this just means that the textbox will change automatically based on story progression. in first snow this is effectively just choosing “winter”, but we’re leaving it in currently just for the sake of being consistent with twofold. this may change for the full release though. the fall ui! obviously, text and icon colors change as well. on top of that, other elements displayed “in-game” such as the skip mode, choice boxes, etc, will be color coded too. the main menu will stay consistent, though. we want those to be special for both VNs. that’s about it as far as this update goes, but it’s nice to show off small things like this occasionally.